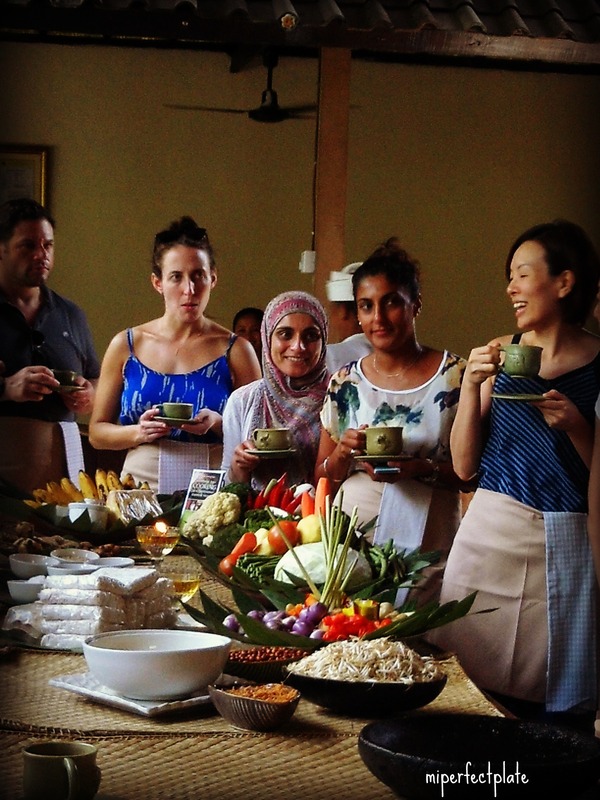 One of my favourite food-related things to do while travelling is to take cooking classes. 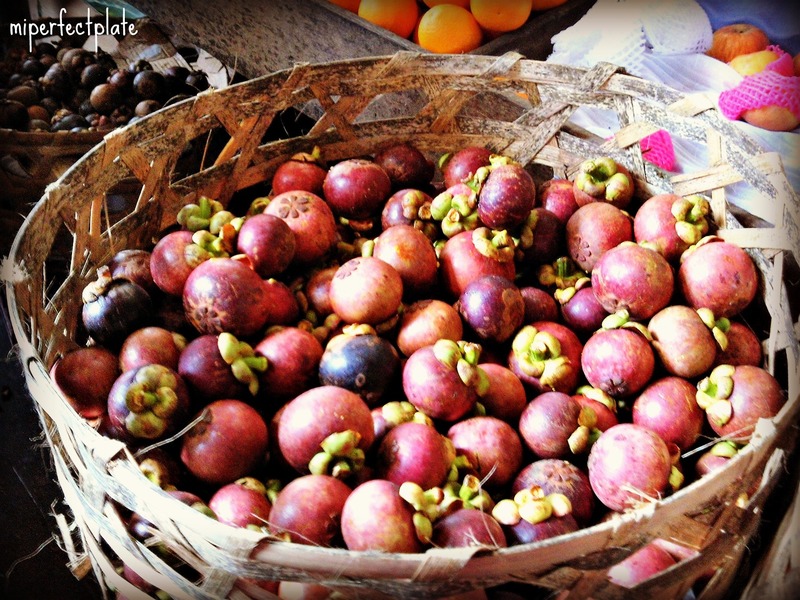 You usually get to visit colourful and vibrant local markets to be educated about unique, local fare and ingredients, plus you always leave with beautiful and authentic recipes to re-create in the comfort of your own kitchen. 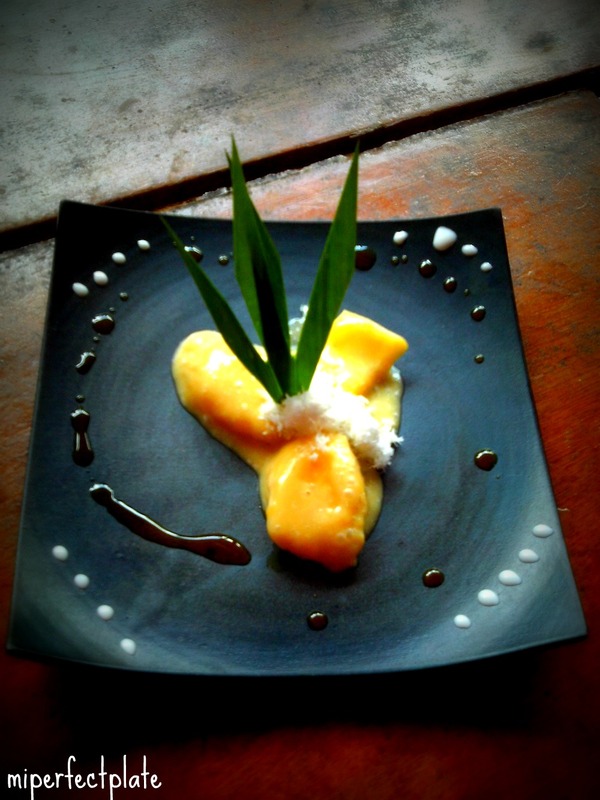 The cooking class I took with Paon in Ubud, Bali satisfied all these points and more. I found the class on TripAdvisor ranking number one and the reviews were fantastic. I knew I had made the right choice. I woke up at 7am to make my one hour motorbike journey to Ubud from Canggu. Without a working GPS this can prove to be tricky. 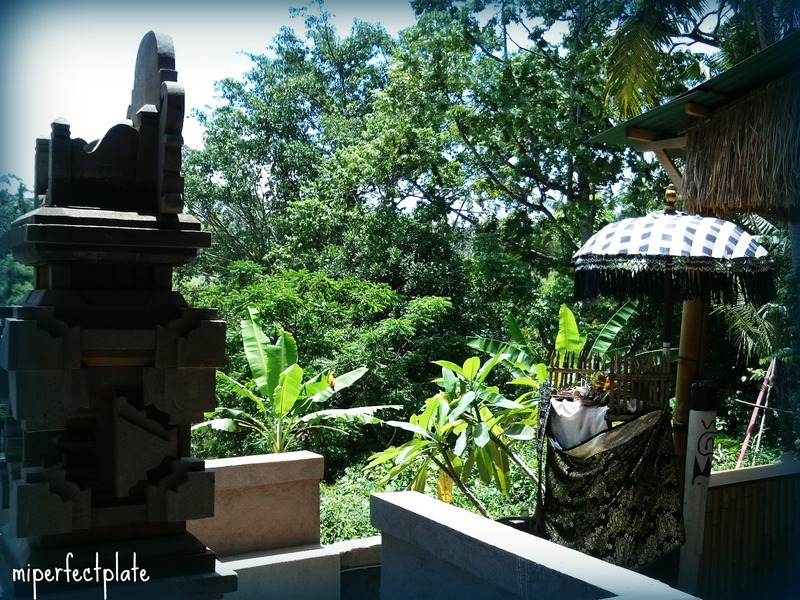 Luckily, with the local help of 5 or more street vendors en-route Ubud, I arrived at Ubud Palace, the meeting point. We started the morning off with a short Ubud Market tour and learned about the typical fruit and veggies while ooh-ing and aah-ing over the many spices and condiments. Finally, we arrived at the home of our hosts, husband and wife team Puspua and Wayan. A short briefing was given and a welcome lime juice drink was served. The open kitchen cooking area was massive and the 9-item menu was introduced and discussed. 9 items? I couldn’t believe how we’d manage that in just a small time frame of 3 hours! 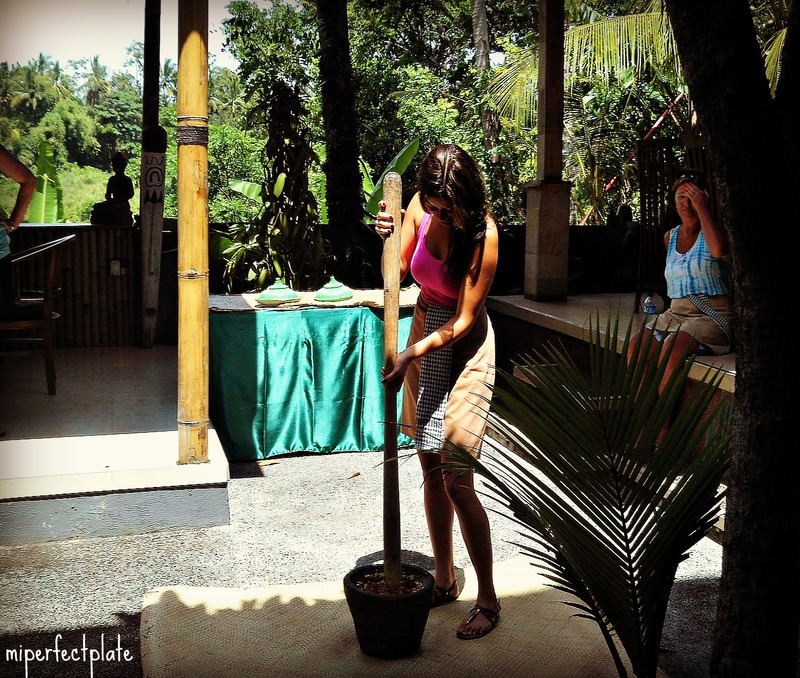 We were all given tasks of chopping, wrapping and using the “Bali blender”. Everyone got a chance to try out all the given tasks. 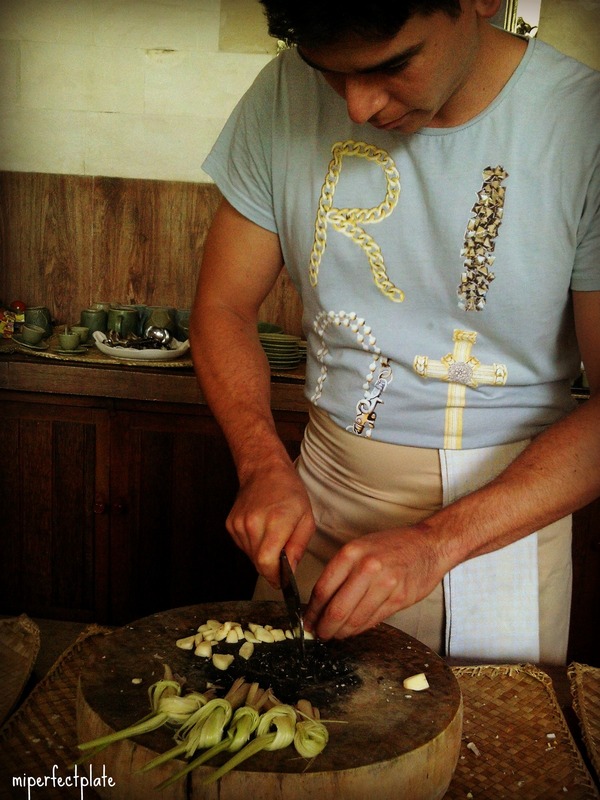 Next, we were split up into groups of four to start our “engines” (cooking). This was Puspua’s favourite line! My suspicions were finally cleared when I saw how organised the whole setup was. This cooking school also offers meat substitutes for their vegetarian students. There were four vegetarians on the day. I loved all the dishes but my top two would have to be the clear mushroom and vegetable soup and the chicken curry. 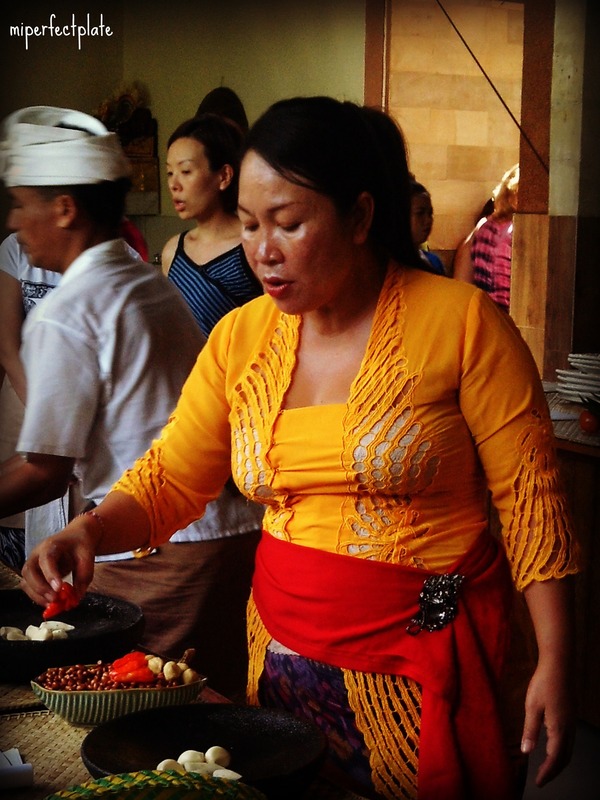 I absolutely adore Indonesian curry so it was a pleasure to be able to learn how to make it from scratch. We used coconut oil for cooking and all produce was organic. It’s always such a lovely feeling to eat and cook healthy things. Since I had skipped breakfast that morning, lunch was extra tasty and I helped myself to two servings of everything. 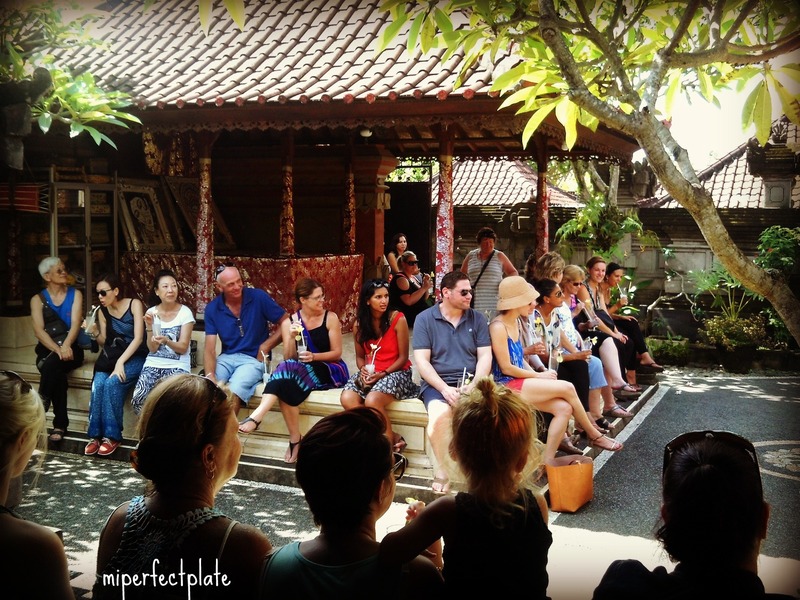 The cost of the class was $35 including free transfer if your accommodation is in Ubud. Otherwise they take you back to the meeting point where you can pick up your motorbike. A great deal for such an interactive and thorough class. I’d definitely recommend this to anyone travelling to Bali. 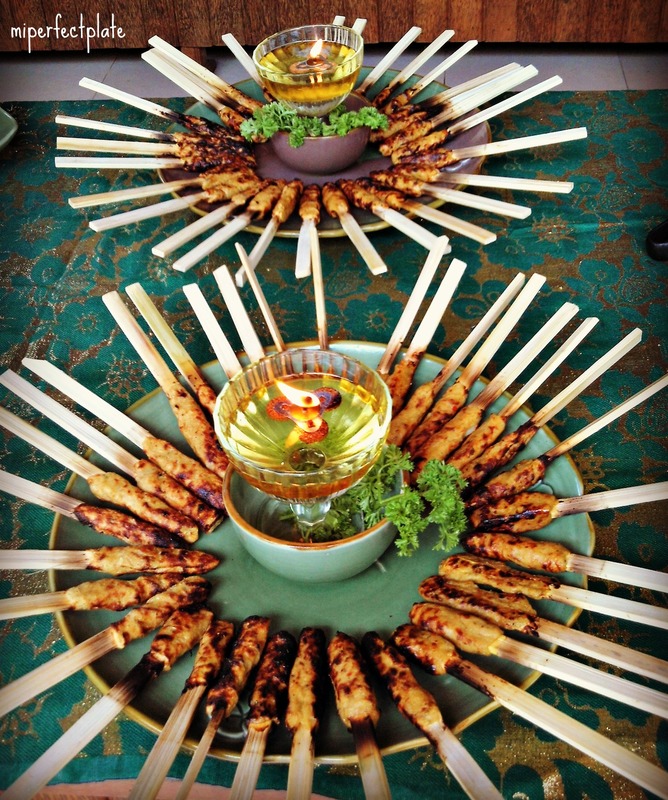 Even if your passions don’t lie in cooking, this is a beautiful opportunity to enjoy a home-styled village meal in a stunning outdoor environment.